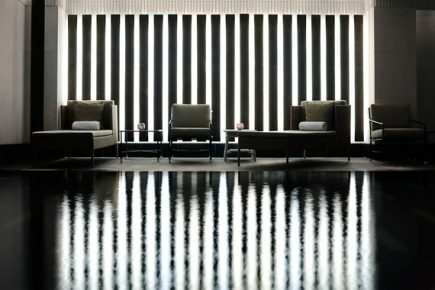 When in need of taking time out of busy city life, The Aman Spa offers a place of tranquillity, relaxation and rejuvenation with a focus on wellbeing of the body and mind. The Aman Spa at the Connaught is the first Aman spa to be built outside of the world-famous Aman resorts, offering holistic massages, body treatments and healing therapies inspired by the renewing traditional of ancient cultures and offer complimentary therapies such as reflexology and acupuncture, as well as beauty services such as signature facials, hand and foot care and jet lag reviving treatments. Five treatment rooms (1 double, 4 single) each with treatment area and steam room, relaxation area, 60m swimming pool, crystal steam room, fitness centre.